Run eBay as a standalone application. Is there a better alternative to ieBay? Is ieBay really the best app in Internet Utilities category? Will ieBay work good on macOS 10.13.4? 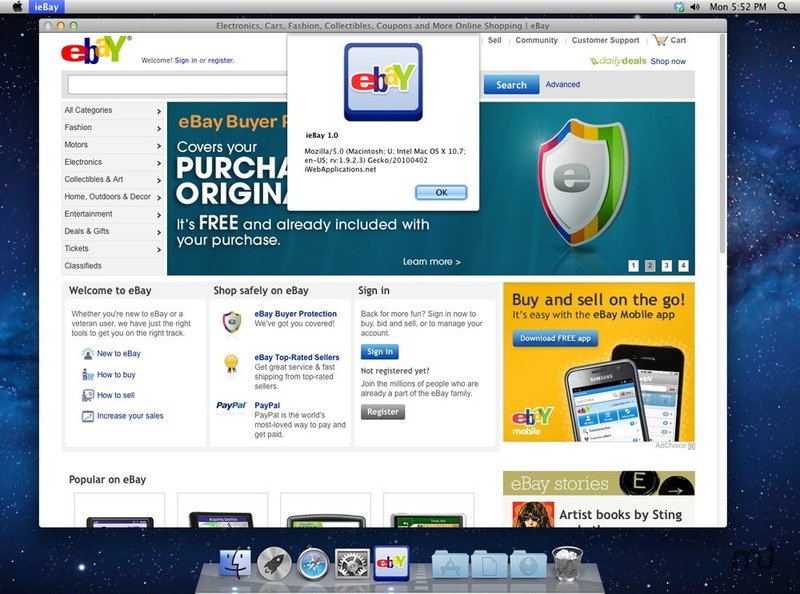 ieBay is a Mac OS X Web service which allows you to run eBay straight from your Mac as a standalone application. With ieBay you can use all of the features eBay offers and even more, such as a download manager, remember me abilities, faster performance and less RAM usage than any other Web browser exists. And for free! Currently runs on Applications folder only.